If you're new to the debate, let's get you up to speed by briefly acquainting you with the main players and give you a very short history of a very long debate. 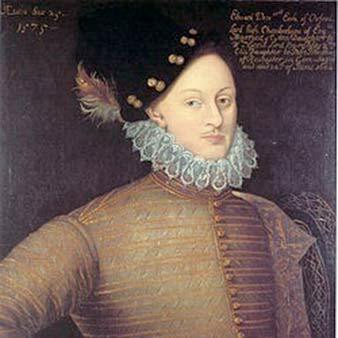 There are hundreds of articles on this site, all mainly to do with the unsuitability of today's leading authorship candidate, The 17th Earl of Oxford, Edward de Vere. There are two reasons for this concentration. The first is that Oxfordians are the loudest and by far the most irritating and hypocritical of the support groups. Most of the arguments supporting one candidate are recycled in support of another. The doubters doubt for similar reasons. Oxfordians, however, having special problems to solve, seem prepared to take things to limits of absurdity. The second reason is that they have contrived to manufacture a leading position in the debate even though their candidate died before a third of Will's work was written. They have, therefore, had to invent a new strain of argument which allows them to redate all the plays. Shakespeare scholarship can really do without centuries of work being turned into slapdash nonsense and childish historical codswallop like The Prince Tudor Theory. They plead for research grants. They beg to be allowed in the classroom. And they are lining up a big, publicity-seeking effort aimed at getting them into the TV studios as the 450th and 500th anniversaries heave into view. So don't let them proselytise their silly ideas on the back of what will otherwise be two amazing celebrations. There's no evidence supporting their theory. Their candidate published his own massively inferior work under his own name and, deep down, the inner voices they won't listen to are telling them their theories are beyond implausible. Remind them, every time they open their mouths.